Last month, my husband and I decided we needed to put something on the calendar for our family each week that involved connection and calmness. For us, it’s Wednesday nights. No one has any sort of activity. And we mainly picked it because it’s the middle of the week (Hump Day) and a pick-me-up is necessary. It also tends to be a night when most of us are emotionally stable (meaning it’s not the Monday blues or the Thursday-crazy-get-stuff-done-before-the-weekend). 2: Set a few rules. For us, Family Reading Night doesn’t happen until dinner is eaten, dishes are taken to the sink, the kids are bathed, teeth are brushed, and they’re in their pajamas. And clothing for the next day has to be already chosen. The must be completely ready for bed. Our other rules: no electronics, no apps (even “educational” ones), no movies. Not even books-on-CD. We opted for our living room. We have a new, huge plush rug that’s perfect for sitting and playing and reading. The kids bring in their sleeping bags so they have a set place to sit. Plus sleeping bags are great for snuggling and relaxing. We turn off the overhead lights and stick to lamps and our screened-in porch bulb strands for light. We may or may not have our jazz playlist on. 4: Have your supplies ready. BOOKS: These include library finds from the week and/or themed books for the month. For example, since it’s Women’s History Month, we gathered picture books focusing on women. 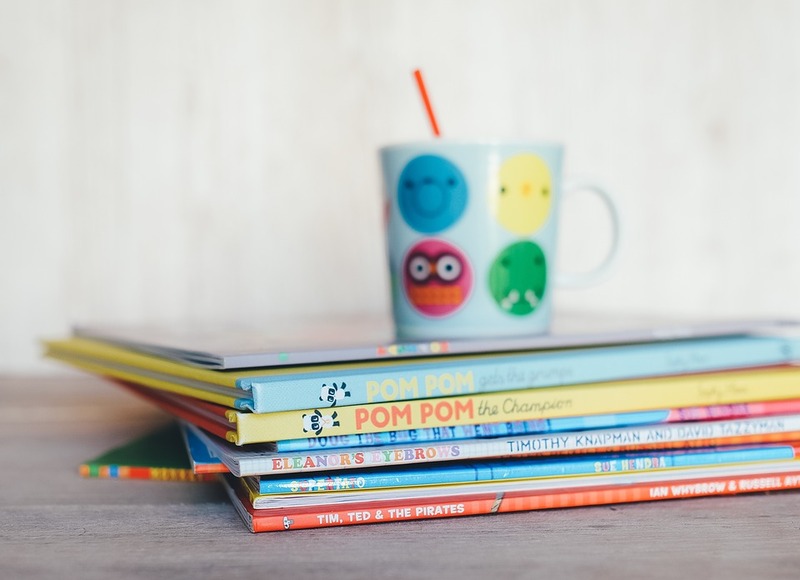 Make sure you have books for everyone’s age and interest: board books, picture books, chapter books, etc. For sensory-seeking kids, lift-a-flap and touch-and-feel books are helpful. FLASHCARDS: Touch and feel, educational (such as these Black history) cards, learn-a-language, etc. LITERACY GAMES: An alphabet floor puzzle, matching pairs, story cards, letter magnets (used on a cookie sheet), etc. LOVIES: These can be dolls, stuffed animals, etc. They can be used to act out stories OR are simply there for cuddles. Some of our favorite African American dolls include Peter from The Snowy Day and the Corolle dolls (this one is adorable!) because their quality is excellent and the dolls are realistic looking. LIGHT SOURCES: You may or may not have flashlights for each child. For us, this is more of a distraction than a help. If you have a fireplace, lighting that for ambiance would be lovely. Other options include kid-safe lanterns (my son has a Thomas the Train one) or battery-operated candles. “WORK” BOOKS: Word-search (pick these up at the dollar store) and Mad-Lib books. Be sure to have washable markers on hand for these, since you’re likely sitting on the floor and might get marker on clothes, rug, or skin. Our favorite markers are the multicultural skin-tone markers by Crayola, though I'd use them for art and not just to mark words on a word-search book. SENSORY: For kiddos with sensory needs, have what they require nearby: wiggle cushion, chewy necklace (these are our favorite due to durability and affordability), fidget toy, skin brush, etc. You can use Playdoh and letter stamps as a sensory-friendly literacy activity. SPECIAL SNACK: We have chosen not to do this, as our reading time is right after dinner and the kids’ teeth are already brushed, but if you want to, include a simple, delicious snack that’s easy to clean up. I suggest a homemade trail mix or popcorn, made in advance, and spill-proof cups. Decide how long you’re reading time will last. We decided as long as things were going well, we’d continue, but as soon as child #1 started melting down, it was time to wrap things up. If our time was only 15 minutes, so be it. If it lasts an hour or more, great. If we have to stop fairly early, you can always have older kids move to their rooms and continue reading while you put younger kids to bed. It’s important to note that we have opted NOT to take away this time as punishment. Again, if a child is melting down, then that child needs to head to bed and the other kiddos can continue activities in their rooms. What, at the end of the time, do you hope to accomplish? For us, as I stated earlier, it’s to connect and calm down, as well as focus on literacy. By not allowing electronics, we promote eye contact, listening, creativity, and focus. During story time, we ask each child what he/she would like to do, being open to change. On our first night, our oldest chose to do puzzle pairs and then move to a Mad Lib book. My son opted to do a letter puzzle, and then flashcards, while my other daughter picked story cards; then when they were done with these, they wanted to listen to me read several LoveMonster books we chose at the library. The baby played nearby or was held by one of us. Sometimes we worked with the kids (reading or guiding through activities), while other times we were observers. Give it a whirl, Sugars! And please let me know how it goes, what you tried that worked, and anything I should add to my supply list.